DeVin MaZe, Atlanta mood rapper, releases his first visual from his SAMO EP. 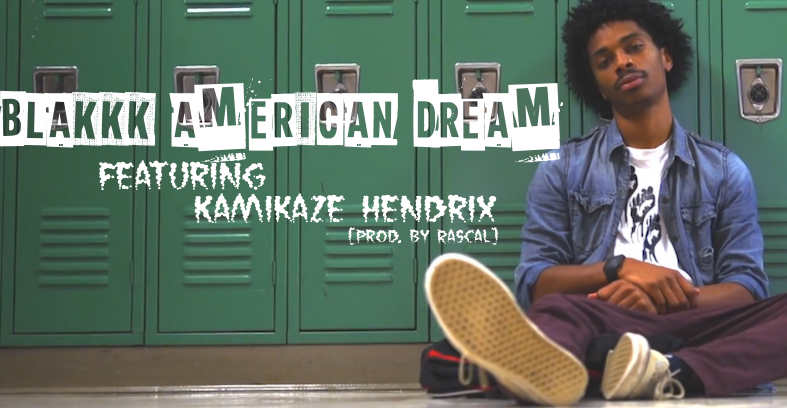 “Blakkk American Dream” features Kamikaze Hendrix and produced by RASCAL and is a combination of MaZe’s smooth lyricism and Kamikaze’s eclectic delivery. MaZe make us not only reminisce about our old high school days, but also challenges us to think about what the Blakkk American Dream really means to us. What is your Blakkk American Dream? MaZe will be giving away a $100 Visa gift card to his favorite dream! REPOST the video Oct. 31st through Nov. 3rd with a description of your personal dream. Be sure to include the hashtag #BlackkkAmericanDream and #WeAreRMR. A winner will be announced the weekend of November 4th! Learn more about DeVin MaZe at http://www.wearermr.com/devin-maze .